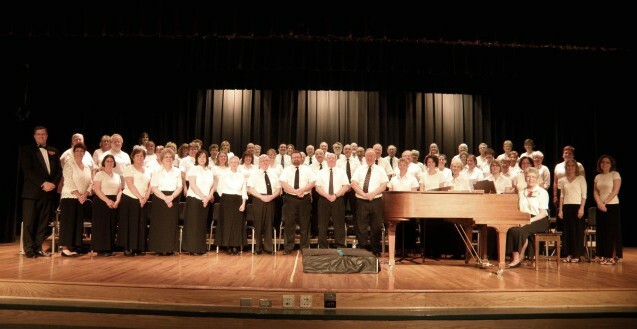 The West Chester Area Community Chorus is an all volunteer group of over 160 men and women from not only West Chester, PA but many communities in Chester, Montgomery and Delaware counties, as well as nearby Wilmington, DE. Our organization offers an opportunity for people to sing in a no-pressure chorus. We ask that you enjoy singing and have fun but do not require auditions and therefore welcome singers of all voice parts and skill levels. New members are encouraged to join during the first two months of each season. We meet for rehearsal at East High School in West Chester, PA almost every Monday evening during the school year. We typically perform two concerts, in January and May, and also perform at other community events throughout the year. 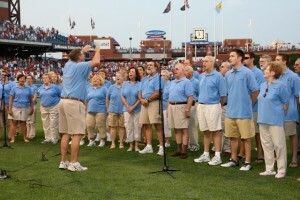 These venues have included the Philadelphia Phillies, Wilmington Blue Rocks, The West Chester Old-Fashioned Christmas and a variety of other community activities. The repertoire of the West Chester Area Community Chorus ranges from classic choral works to Broadway show tunes to folk songs, spirituals, pop music and more. The chorus began as a dream of Ruthann Waldie, then the choral director at Garnet Valley High School. Ruthann envisioned a group for adults in the area who enjoyed singing but did not want the pressure of an audition based organization. So in September 1997 the Garnet Valley Community Chorus was born and George Waldie became the first director of the group. At that first rehearsal there were 28 people who gathered in the Garnet Valley high school choral room. By the end of practice there were as many people standing outside of the room listening as there were inside the room singing. Word about the organization spread quickly and by the time of our first concert on March 1, 1998, there were over 60 singers performing on stage. 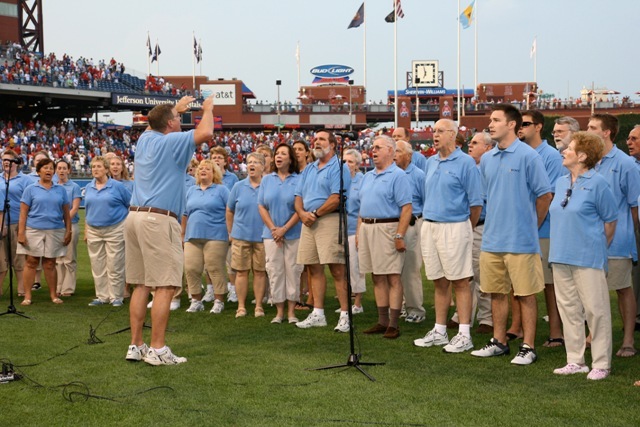 In 2004, the chorus moved from Garnet Valley to West Chester and became the West Chester Area Community Chorus. This year, the group is celebrating its 20th season and numbers over 160 members. More than half of the people who attended that first practice back in 1997, are still members today. Come join, sing and have fun! No Auditions and all are welcome!! We are accepting new members during the months of February and March! No Auditions Required and we accept all voice parts. Come out any Monday evening at 7:00 PM to the East HS Choral Room and join over 150 singers for our spring season. Our concert will be on Saturday, May 4th, 2019 at 7:00 PM. Hope to see you at a rehearsal soon! Rehearsal Tonight(March 4) is Canceled – See you next week at Meadowcroft Church. Comments Off on Rehearsal Tonight(March 4) is Canceled – See you next week at Meadowcroft Church.